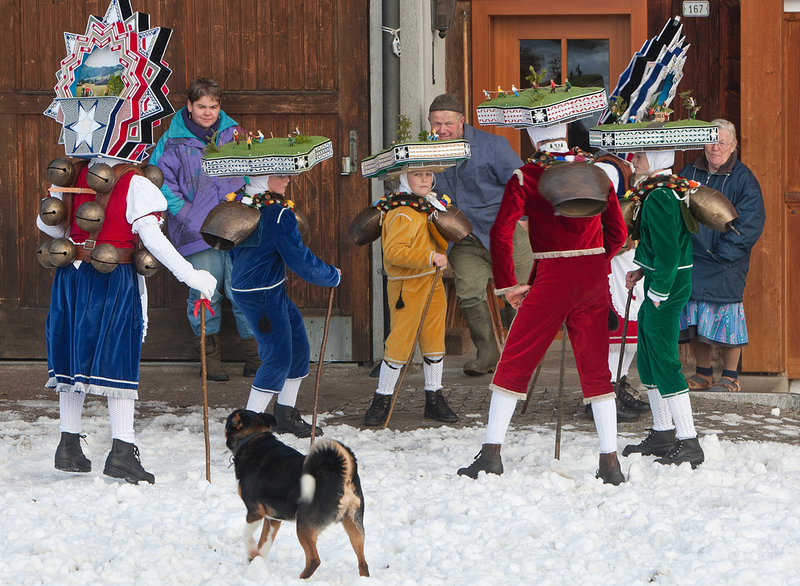 On New Year’s Eve men and boys in Urnäsch, Switzerland, disguise themselves in various costumes and, bearing harnesses with heavy bells, walk in groups from house to house; at each house they sing wordless yodels. The custom is called Silvesterklausen, and the men and boys are known as Silvesterchläus. At the crack of dawn they march off in single file. Arriving at a house, they shake their bells rhythmically to announce their presence. The inhabitants are expecting them, and the husband and wife step out to greet them; the wife bears a tray with a bottle and glasses. The Silvesterchläusen then form a circle and sing polyphonic yodels, which are received with great favor by the household. Each visitor is offered a drink; the yodelers accept their drinks, shake hands with their hosts, and march off to the next house. This according to Progress and nostalgia. 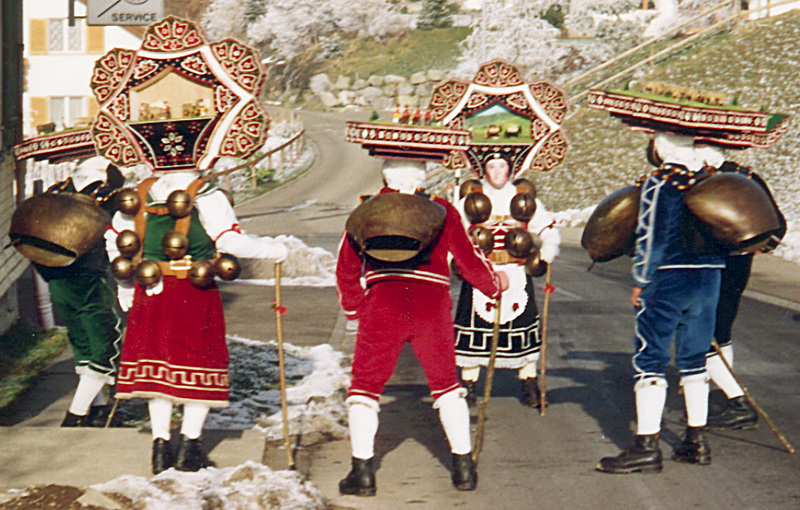 Silvesterklausen in Urnäsch, Switzerland by Regina Bendix (Berkeley and Los Angeles: University of California Press, 1985). Below, Silvesterklausen in 2013.